¹Fun fact: Vancouver is home to one of the world’s longest pools (137 meters). ²Fun fact: Vancouver is the third most livable city in the world. 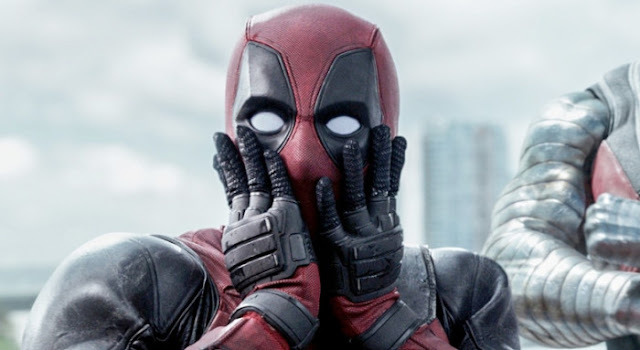 To celebrate the anti-hero’s return to the big screen, Tourism Vancouver – with support from 20th Century Fox and the Vancouver Film Commission – is launching a campaign that welcomes fans to explore the world of Deadpool 2 by visiting the city that’s featured so prominently in the film. 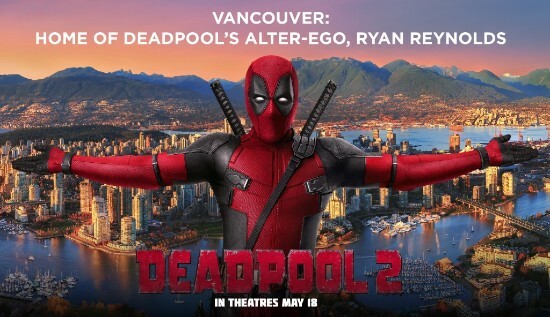 The “Vancouver: Home of Deadpool’s Alter-ego, Ryan Reynolds” campaign sweepstakes offers the public a chance to win a grand prize trip for two to Vancouver inspired by Deadpool 2. • Round-trip flights to Vancouver, B.C. ³Restrictions apply – Contest open to residents of U.S. (excluding Florida) and Canada (excluding Quebec). See Rules & Regulations for full details. Visit tourismvancouver.com/deadpool for more details and to enter. Those keen to follow in the foul-mouthed rebel’s footsteps can view Tourism Vancouver’s self-guided Deadpool itinerary.